After months of looking for a job, and exploring the opportunity trying to live and work in Paris for a short time, I decided to start traveling. 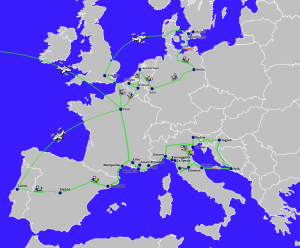 Initially, around Europe, and then wherever inexpensive airline fares can take me. I’ve been staying in hostels, guesthouses, and inexpensive hotels. 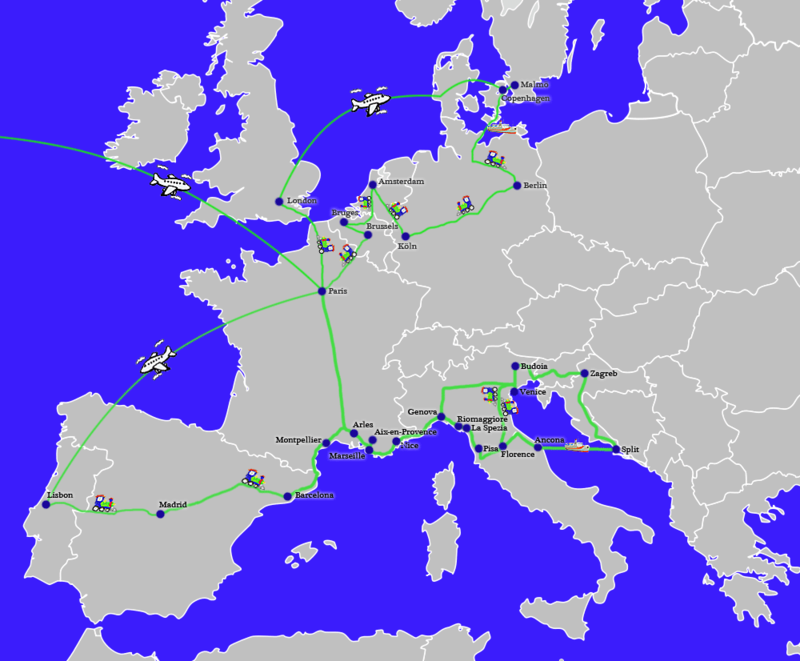 Traveling by plane, high speed train, regional trains, and ferries. So far I have been to 7 countries in 1 month, and will be addinga few more to the list shortly. I will add some photo albums later on, and will update the map from time to time, but not real time. Update (17 November, 2009) My time in Europe is going to be wrapping up here shortly. Now the list of stops is up to 26 cities in 11 countries. Holy cow. I’m ready for something drastically different than Europe. I love it here, but I need a change of scenery (and the southern region is getting cold!). I’m not sure what the next step is going to be. Update (23 November, 2009) I completed the map above with the travel that is already booked. I fly to SFO on 2 December 2009. This has been an interesting trip. Met a lot of cool people, had some great experiences, and learned a lot. Update (27 November 2009) I finally got the photos of this trip in a photo gallery.